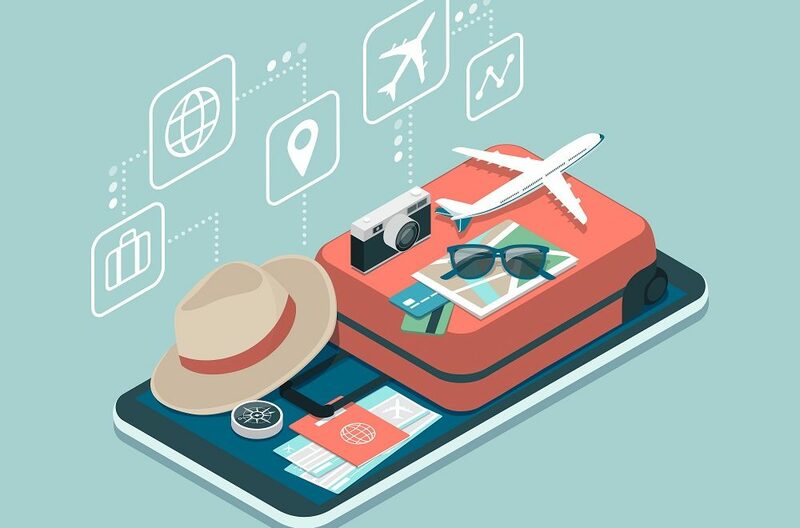 Eid holidays are around the corner and the urge to travel is that much stronger. After all, what else are holidays for? Now I know most of you are thinking relaxation, but hey, plenty of time to rest on the weekends. It is finally time to go, enjoy the great outdoors as temperatures drop to make way for winter. If you’re looking for places to visit or something to cross off your bucket list, look no further. Here’s a list of 7 cities, not far away from home, that are perfect for time away from the hustle and bustle of daily lives. With frequent flights, a mere 3 hours 40 minutes in duration, Amman is the starting point to visit places in Jordan. A visit to Amman demands a stop at The King Abdullah Mosque that is easily recognizable by its beautiful blue domes. Known for its Islamic architecture, The King Abdullah Mosque was established in 1986 as a tribute to King Hussien’s grandfather, King Abdullah I of Jordan. The Amman Citadel, located on top of Jabal al-Qal’a in downtown Amman, is a must-see site as visitors can see the remains of the Romans at the Temple of Hercules, the Byzantine Empire at the church ruins and the Umayyad palace. A 20 minutes’ walk from the Amman Citadel is the Roman Theatre, a 2nd century theatre with the seating capacity of 6000 people. Established in 2003, The Royal Automobile Museum is a popular tourist location as it boasts over 70 classic cars and motorbikes from King Hussein’s personal collection, reflecting different milestones of his life and the events he witnessed. An hour from the city, the Dead Sea is known for its salinity, as it is unsuitable for any plants or animals (hence, the name). The water is so dense that it keeps people afloat, without any effort. Tbilisi is 3 hours 40 minutes away by flight, with 2 weekly flights from Muscat. Old Tbilisi, or the Tbilisi Historic District, is famous for its historical monuments and religious architecture, dating back to the 19th century. Sioni Cathedral, built in the 6th and 7th centuries, is the most known monument in the Old Town. Named after Mount Zion, at Jerusalem, Sioni Cathedral was destroyed and rebuilt many times. 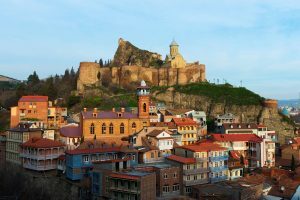 Narikala Fortress, a 15 minutes’ walk away from the Sioni Cathedral, overlooks Tbilisi and Mtkvari River and is known as the ‘heart and soul of the city’. Established in the 4th century and expanded during the following centuries, this site is a must-see for Tbilisi visitors. A walk along the Narikala Tourist route, a 1500-meter trail around the fortress and into the Old Town, leads to the entrance of Tbilisi Botanical Gardens, the oldest botanical garden in the former Soviet Union, with over 3500 types of plants, a few waterfalls, pavilions and bridges. Take a sulfur bath in the Abanotubani district of Tbilisi, in any one of the dozens of spas in and around the district, that offer both private and public bathhouses. Make sure to also check out the Funicular Railway that goes up to Mount Mtatsminda. Mtatsminda Park has an amusement park, restaurants, bars, cafes, and a great view of Tbilisi from the 770-meter-high mountain. With over 2 flights per day, 5 hours 25 minutes in duration and located on the Bosporus strait, between Europe and Asia, Istanbul is viewed as the bridge between the East and West. The Topkapi Palace was the place of residence for sultans from the Ottoman empire, dating back to the 15th century. Now turned into a museum, it features Ottoman clothing, weapons, religious relics and such. A short walkable distance from the Topkapi Palace is the Hagia Sophia, the Greek Orthodox church turned Ottoman imperial mosque turned museum. The rich history of this museum, combined with its arches, domes and exquisite mosaics, makes it an architectural and historical marvel, a must-see for tourists. Head to Basilica Cistern, an underground cistern built in 532. It is the largest surviving cistern of the Byzantine empire in Istanbul and is featured in From Russia With Love, a 1963 James Bond film and Dan Brown’s Inferno (2013). A Bosporus cruise, with European shorelines on your left and Asian on your right, provides a great view of the city, the peaks of Sultanahmet’s tourist sites and the famous Ottoman waterfront mansions. Take a stroll on the Land Walls of Theodosius, from the Golden Gate to the Sea of Marmara, and head to the Chora Church, also known as Kariye Museum. The Church showcases mosaics and frescoes that are some of the finest examples of Byzantine arts. A 4 hours’ flight away, Cairo is the largest city in Egypt and the hub of political and cultural life. A trip to Egypt is incomplete without a trip to the Pyramids. One of the original seven wonders of the world, The Pyramids have stood the test of time and survived for what seems like eternity. 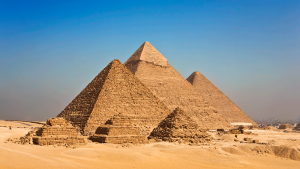 The oldest of the Pyramids at Giza, the Great Pyramid, was built circa 2550 B.C. for Pharoah Khufu. Khufu’s son, Pharoah Khafre built the second pyramid, circa 2520 B.C. featuring the Great Sphinx, a limestone monument with a lion’s body and the head of a pharaoh. Downtown Cairo reflects 19th century Cairo and is nicknamed the “Paris of the East”. Old Cairo is home to Cairo’s Coptic Christian community and features Christian churches and other sites. It is built around the fort of Babylon on its remnant walls. Khan El Khalili, in the Old Cairo, is your one-stop-shop to explore historic cafes, purchase souvenirs or have your name engraved on the Egyptian cartouches in hieroglyphics in gold or silver, copper vases, colored papyrus, porcelain plates and cups. The Ibn Tulun Mosque, the third mosque built in Egypt, is considered the oldest surviving mosque. It is the oldest remaining monument in the City of Qata’i’. With 5 flights per day, 3 hours 20 minutes in duration, Manali is the perfect destination for anyone looking to cross a few activities off their bucket list or hike beautiful snow-capped mountains. The Rohtang Pass is an essential destination for any trip to Manali. Located 51 kilometers from the main town, at a height of 3890 meters, it can be accessed by road. 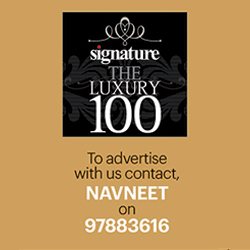 It connects two beautiful valleys of Himachal Pradesh and is popular among adventure seekers and nature enthusiasts. Jogini falls is a major tourist attraction with breath-taking views of the Himalayan mountains and the sound of gushing water. Vashisth temple and its therapeutic hot springs are the starting point of this easy to moderate trek with some steep edges, 3 kms in distance. Kullu, a resort town in Himachal Pradesh, is the ideal getaway and a popular destination for honeymooners. It is also adventure sports’ hotspot, with activities such as river rafting, paragliding, mountaineering and hiking, that are offered over the Himalayan glaciers. Kullu is home to The Great Himalayan National Park with numerous species of flora and fauna. Hidimba Devi Temple, Gauri Shankar Temple and Bijli Mahadev Temple are few of the well-known religious sites for tourists and devotees in the area. 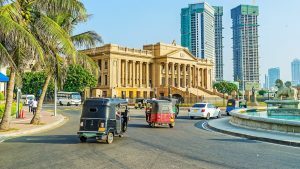 Colombo is approximately 4 hours away by flight, with one flight per day. Gangaramaya Temple is one of the most iconic Buddhist temples in Sri Lanka. With a history of 120 years, this temple also houses a museum and a mix of various architectural styles. A short distance from Gangaramaya Temple, Beira lake, one of the tourist hotspots, lies in the middle of the city and is a popular recreational area for boating, bird watching, picnics and more. Located in the Cinnamon Gardens, Independence Memorial Hall or Independence Square is a historical landmark which currently serves as a recreational area for fitness enthusiasts. It was built to commemorate the independence from the British in 1948. The Old Galle Buck Lighthouse is an underrated location that offers panoramic views of the ocean, with the ports in the far right and Old Galle road on the left. It is the perfect location to catch the sunset. The National Zoological Gardens or Dehiwala Zoo is known for the wide variety of indigenous fauna that it houses. Situated in the Dehiwala suburb of Colombo, the zoo even has birds and butterfly gardens, and claims to house 2500 to 3000 animals. The Attidiya Bird Sanctuary is popular for its migratory and endemic water birds and provides shelter to at least 50 different types of birds. One of the top tourist destinations in the world, Bangkok is 6 hours away with 3 flights per day. A trip to Bangkok would be incomplete without a visit to the Grand Palace. Built in 1782, the Palace’s beautiful architecture and intricate detail is a tourist attraction. Wat Pho, the oldest and largest temple in Bangkok, is also considered one of the most attractive temples. It houses over 1000 images of Buddha that have mostly been brought from abandoned temples in Ayutthaya and Sukhothai. It is also home to a 46-meter-long reclining Buddha image. Ayutthaya city, founded in 1350, was the capital of the Siamese kingdom. In the heart of the city is the Ayutthaya Historical Park, a UNESCO World Heritage Site. It has four spectacular temples in the midst of a dense forest. Bangkok Safari World is Thailand’s greatest zoo and leisure park. Opened in 1988, the zoo is home to a large variety of animals like zebras, tigers, lions, bears, etc. in their natural habitat. One of the biggest markets in the world, Chatuchak Market is a must visit location to buy everything from used vintage sneakers to baby squirrels to various arts and crafts. It is the perfect place to buy souvenirs and memorabilia of the trip.